The seminar affirms the need to apply transdisciplinary methods in the study of boundaries. Though this can be done in various ways, the construction of a transdisciplinary lexicon is key to facilitate a mutual understanding between researchers with different scientific backgrounds, as well as between researchers and policy makers. Furthermore, a renewed lexicon can mitigate the risk of simplifying boundaries either as purely material or social entities. 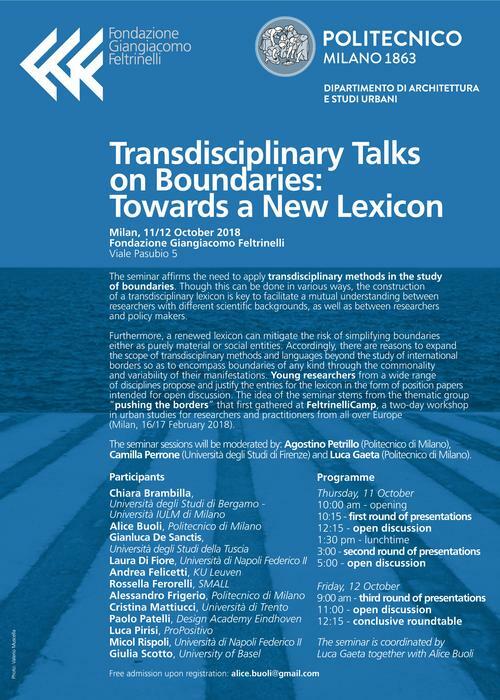 Accordingly, there are reasons to expand the scope of transdisciplinary methods and languages beyond the study of international borders so as to encompass boundaries of any kind through the commonality and variability of their manifestations. Young researchers from a wide range of disciplines propose and justify the entries for the lexicon in the form of position papers intended for open discussion. 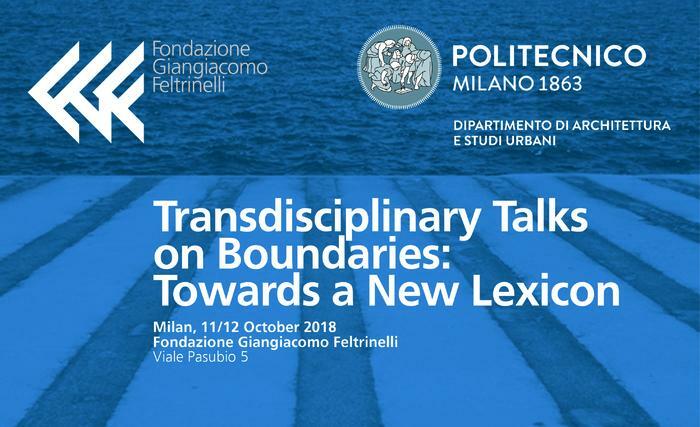 The idea of the seminar stems from the thematic group “Pushing the Borders” that first gathered at Feltrinelli Camp, a two-day workshop in urban studies for researchers and practitioners from all over Europe (Milan, 16/17 February 2018). The sessions will be moderated by: Agostino Petrillo (Politencnico di Milano), Camilla Perrone (Università degli Studi di Firenze) and Luca Gaeta (Politecnico di Milano). The seminar is coordinated by Luca Gaeta together with Alice Buoli and is supported by the Department of Architecture and Urban Studies (DAStU), Politecnico di Milano. The event is part of the programme Stagione Capitale 2018/2019 "Rethinking Capitalism" by Fondazione Feltrinelli.